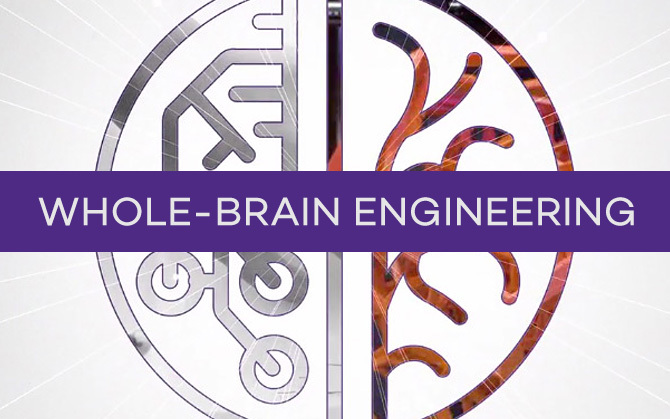 Industrial Engineering at Northwestern is the science of decision making in complex and uncertain environments, based on algorithms, computation and mathematical modeling. The IEMS program trains you as a modern decision maker by providing knowledge in data analytics, optimization, logistics and financial engineering. You can think of this a bridge between engineering and management. To emphasize this connection, our department is named Industrial Engineering and Management Sciences (IEMS). The department was established in 1958, and has been consistently ranked among the top five to ten industrial engineering departments in the country. The department offers programs at both the undergraduate and graduate levels and offers a wide range of courses aimed at developing analytic skills and an understanding of business. Graduates leave our programs prepared for a variety of careers in both industry and academia. Please note: The IEMS department does not offer a master's program. However, McCormick’s Combined BS/MS Program allows undergraduates to simultaneously pursue a bachelor’s degree (BS) in industrial engineering and a master’s degree (MS) from another engineering department.